Autonomous SmartDesk 2 Review – is it good for all people? Autonomous SmartDesk 2 Review – are there any distinct benefits to it? How does the Autonomous SmartDesk 2 work? The Autonomous SmartDesk 2 is one of the most efficient designs for workers in need of an adjustable standing desk. With simple height adjustment and unmatched affordability, Smart Desk 2 - Business Edition can be a top choice for the modern office worker. The Autonomous SmartDesk 2 is one of the most efficient designs for workers in need of an adjustable standing desk. With simple height adjustment and unmatched affordability, Smart Desk 2 – Business Edition can be a top choice for the modern office worker. Buying the Autonomous SmartDesk 2 was on the mind of many office workers looking for an affordable standing desk. While its price is tempting, the SmartDesk 2 has plenty of qualities to look beyond simple figures and to understand how it can improve the lives of a daily office worker. For this purpose, the Autonomous SmartDesk 2 offers the simplicity of standing which can be combined with sitting, in one of the most attractive designs on the market. When compared to its alternatives, it also becomes highly affordable and this is why it can be a top choice for many types of users. Autonomous SmartDesk 2 review: what are the benefits and characteristics of the standing desk? Is it truly possible to find an affordable height adjustable desk? The Autonomous SmartDesk 2 – Business Edition comes with an impressive performance from such a minimalistic design. It is often believed that only a few people can truly benefit from using a standing desk. But this is not the case with the Autonomous SmartDesk 2. As it is affordable, it allows those who would not be able to purchase an excruciatingly-expensive alternative to have their own product for everyday use. At the same time, the SmartDesk 2 has a certain simplicity which allows it to be reliable. There are no wobbling buttons to worry about and the legs of the standing desk are secure as well. This is important from a simple perspective. Since the gravity point of the SmartDesk 2 changes as its height adjusts, it also needs to remain stable. For many alternative desks, this is not the case. Even some of the more expensive alternatives struggle to maintain good stability when the desktop is lifted higher. It is also important to understand that some of the issues which need to be dealt with are the ones of the greatest importance understood only after the purchase. It is often that users only see the drawbacks of a standing desk when they’ve already purchased it. There are 26 inches within the adjustability range of the Autonomous SmartDesk 2. This range can be adjusted within 2.09 inches per second. Furthermore, Autonomous offers a 5-year warranty on the SmartDesk 2 Business Edition. It is in line with what some of the most popular smart desks have to offer. Another distinct advantage comes with a wide variety of tops. A new top can look completely different and it can create a certain visual identity to adhere to. The programmable switch with 4 presets also represents an interesting choice worth taking into consideration. It minimizes the time needed to find the right height for users as they can have their own preferences saved and used as needed between different heights. In terms of packaging and installation, Autonomous also made a good impression on many users. Both the frame and the top come nicely packaged. All the accessories and tools are separated in labeled bags and this simplifies the installation process. When the frame is installed, users can also easily attach the desktop. This is a simple process as the desktop already comes with pre-drilled holes to lock it into position. The SmartDesk 2 is easy to use. It has two buttons for lower and higher height settings. Further 4 positions are used for saved height positions. These are all the settings users need to deal with. They represent a simple design which is as good as the controls seen in some of the more expensive alternatives on the market. For the purpose of practicality, both versions of the SmartDesk 2 can work with a couple of large monitors, such as the popular 27” used in creative industries. It is made for users who want a reliable product which is easy to install and which is also an affordable alternative to the standing desks available to purchase. A distinct advantage of the SmartDesk 2 is that it can be shipped all over the world. Of course, delivery times differ from location to location, but users have the ability to customize their own standing desks online and they can have it sent directly to their homes anywhere in the world. The Autonomous SmartDesk 2 comes in two attractive versions which represent a distinct advantage when it comes to affordability and simplicity. 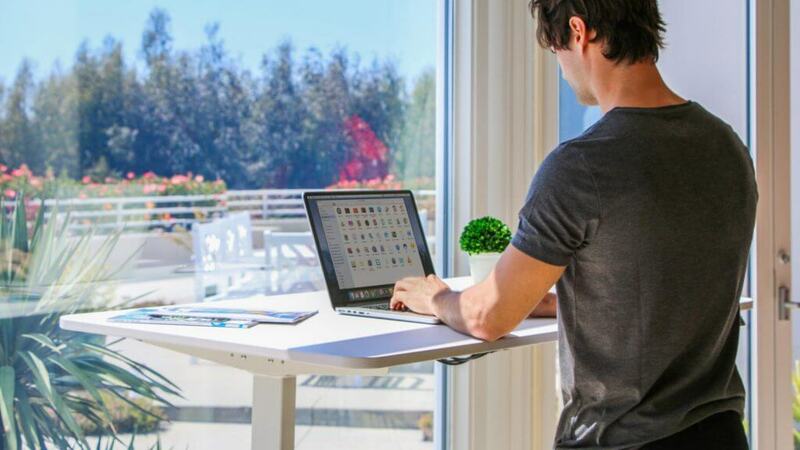 Without overcomplicating their operation, Autonomous has designed one of the most affordable standing desks on the market with the Home Edition and an extra reliable alternative with the Business Edition standing desks. Some users might be looking at differences between the SmartDesk 2 and the SmartDesk 3. But the second version of the SmartDesk 2 is among the most popular solutions when it comes to affordability, even without the AI technologies of the desk’s third version. 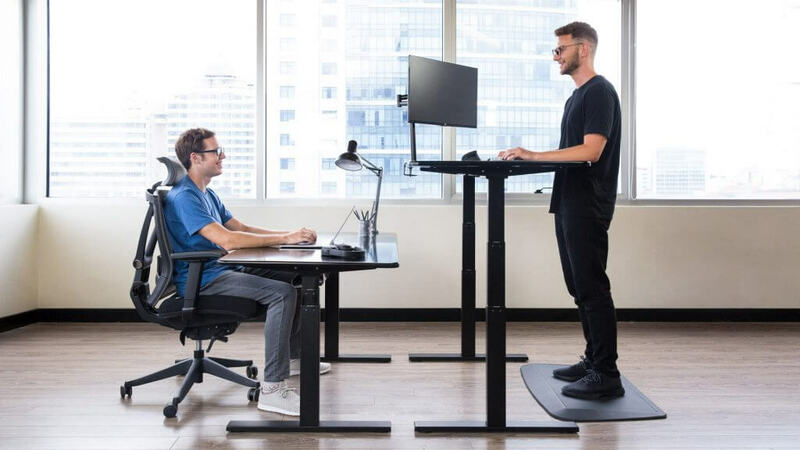 Autonomous also offers an open deal for those who want to purchase multiple standing desks. For those who need them for an office. For example, when purchasing 2 SmartDesks Home Edition, users pay $290.03. 5 units come at a lower price of $280.06, while 10 units come at $275.08. This makes them even more affordable than many people expect. $49 is applied for shipping, which can be tracked via a tracking number in countries such as the US, through FedEx. No Autonomous SmartDesk 2 review can be complete without appreciating the simple installation process. With an installation process with are lauded by users, both these standing desks represent attractive choices for those starting out with a better alternation between sitting and standing at work. Most of them also have the freedom to find their own success in how they organize the standing desk as in their XL desktop version, they come with a length of 71 inches. Encouraging good posture and the alternation of sitting and standing, the SmartDesk 2 from Autonomous is more than just another work desk. It works for people in most industries and it changes the way people see mobility at the work place. 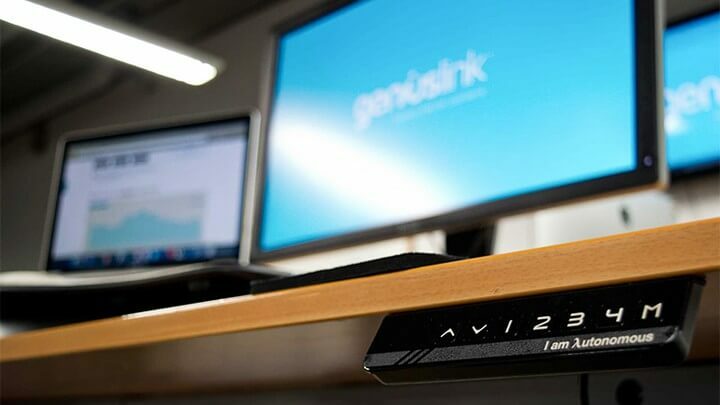 But apart from offering a raising platform, the standing desk also allows users to customize the way the desktop looks. All of these options still do not require any additional installation steps after the SmartDesk 2 is shipped.